A wonderful family with 4 mostly grown children booked me for an afternoon of snorkeling, spear-fishing, dolphins…and whatever other fun stuff we could find to do. 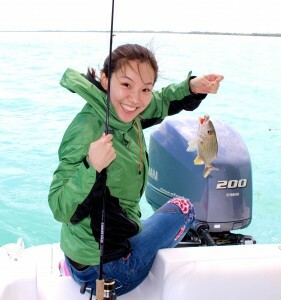 And believe me we found three days full of fun activities on the surrounding waters of Key West. 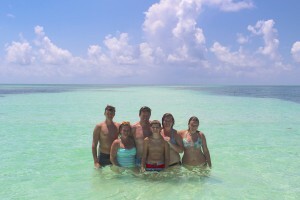 We started with snorkeling a patch reef just north west a few miles off Key West. 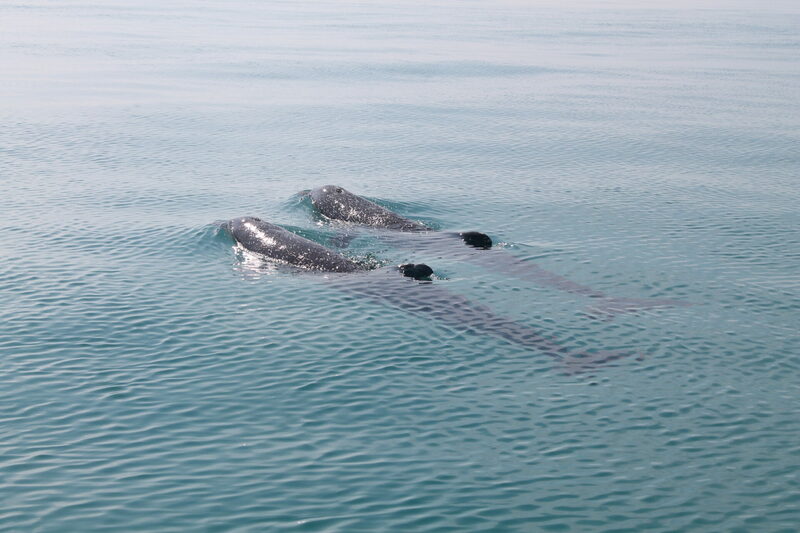 In the summer the conditions are ideal for visibility & lots of marine life passing through. 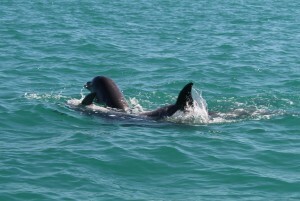 On our way there we came across a large pod of dolphins having loads of fun playing with each other. This is always a treat. 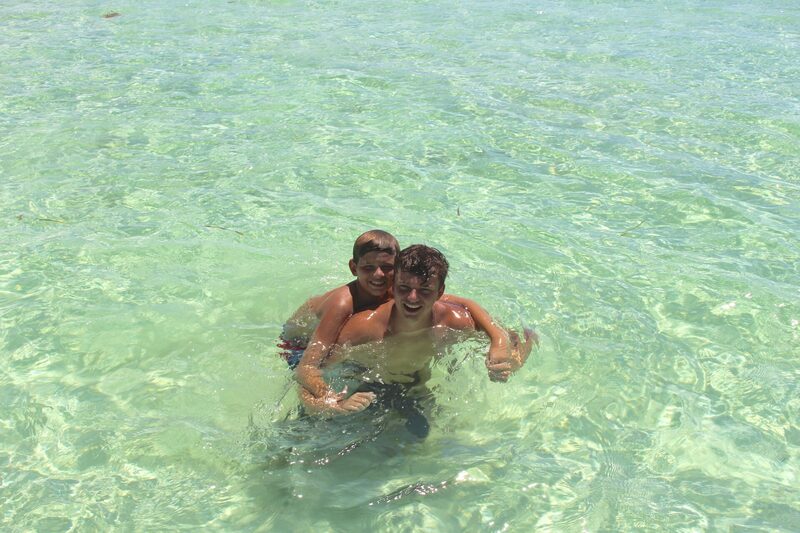 This particular area they were in is crystal clear blue waters with a white sandy bottom. This means as the dolphins swim by the boat you can see every detail of them, even the expression on their face. After trying to photo their every move, we said good-bye to our amazing friends and headed to our snorkel spot. 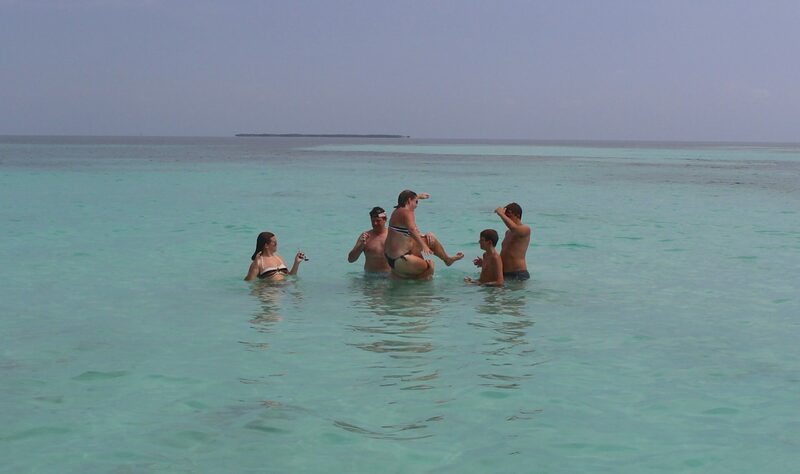 This place was full of the large Southern Sting-rays, Barracudas, loads of tropical fish etc… Also the oldest son was trying his skills at Spearfishing. This can be a great area for Snappers, Hogfish, & some Groupers. 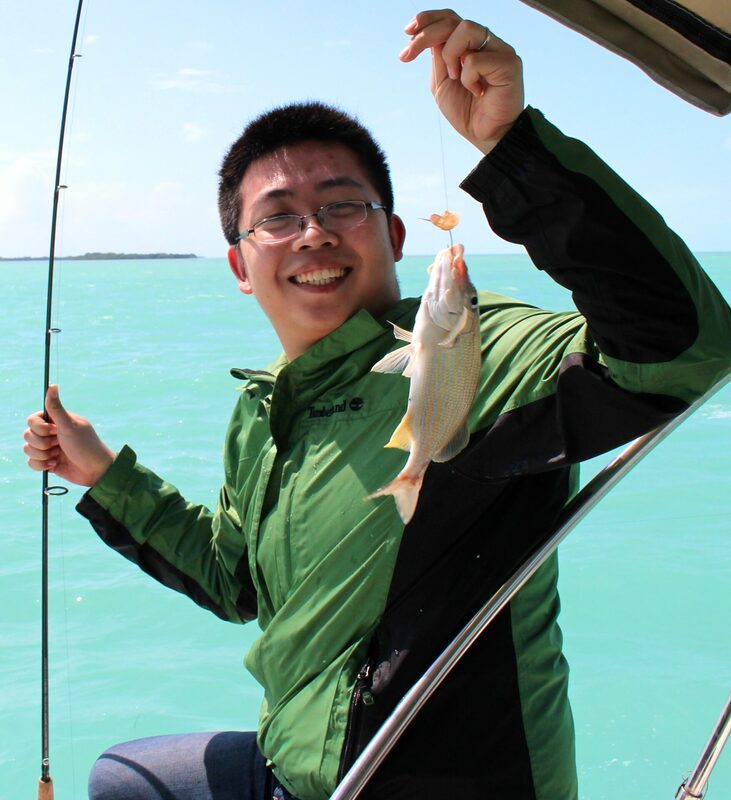 He was able to find a sizable Hogfish and successfully shoot it. Not bad for his first time! 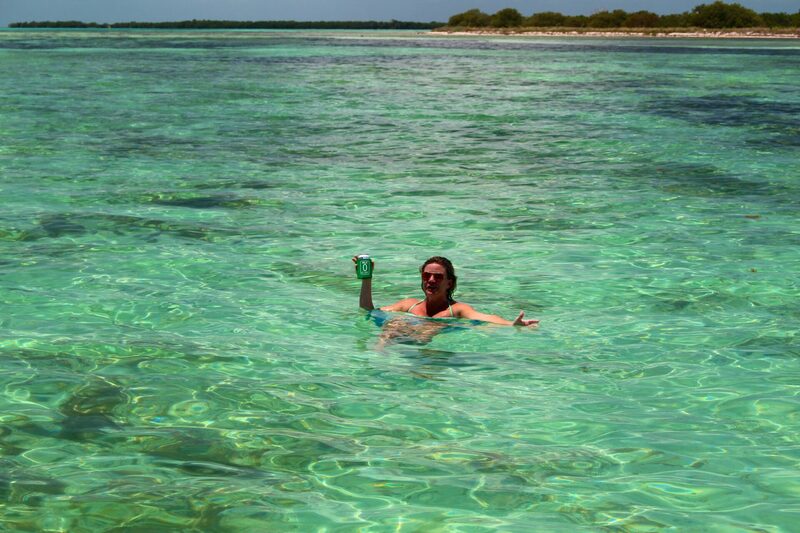 It was time to relax after a lot of snorkeling, so we found a sand bar to chill out on. That didn’t last long, the siblings soon started goofing around. 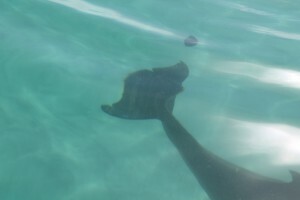 Mom, however enjoyed floating around peacefully on her noodle while the kids were having their own fun. 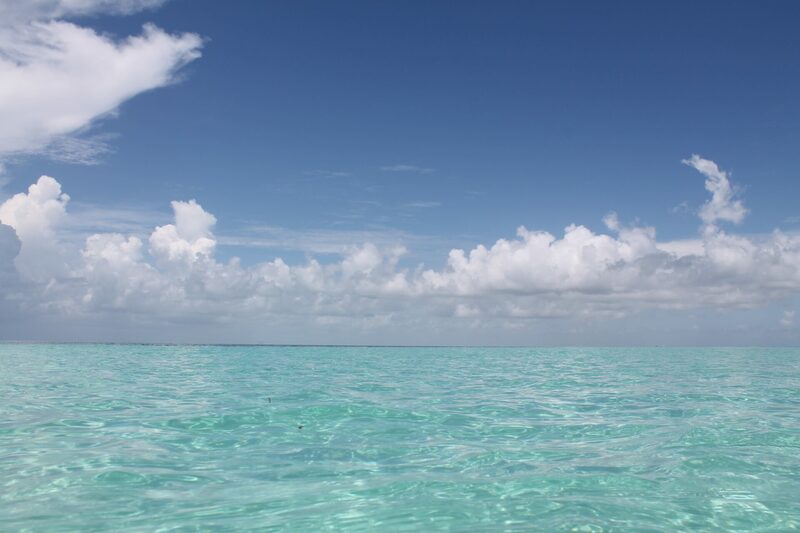 It is crazy to think you can stand in the middle of the ocean, that is one of the best parts of the Keys. 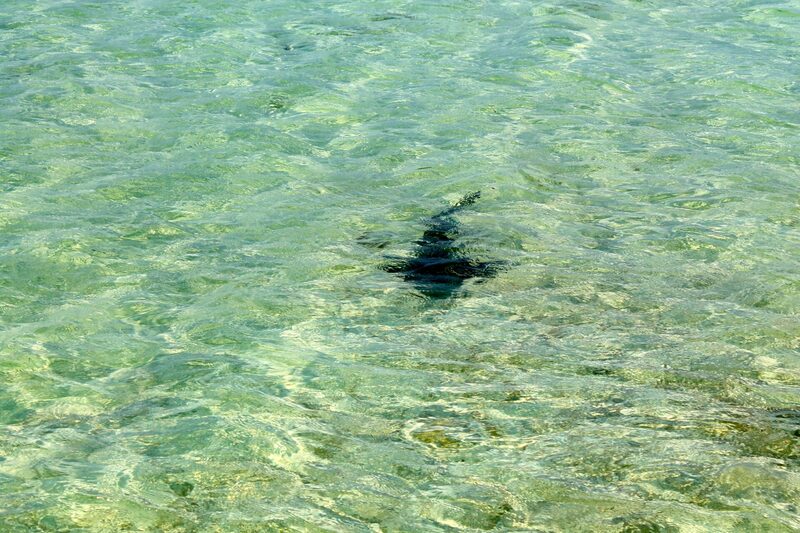 All the beautiful shallow water. 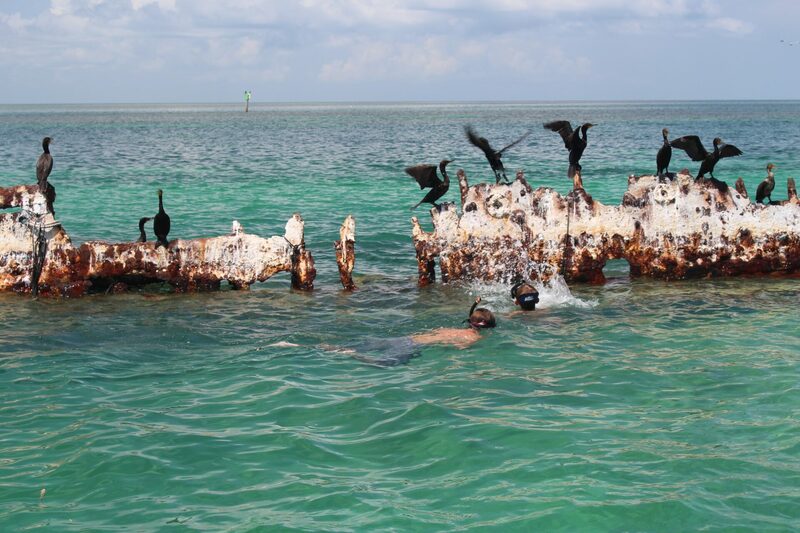 Another part of the adventurous days, was to snorkel a large shipwreck. 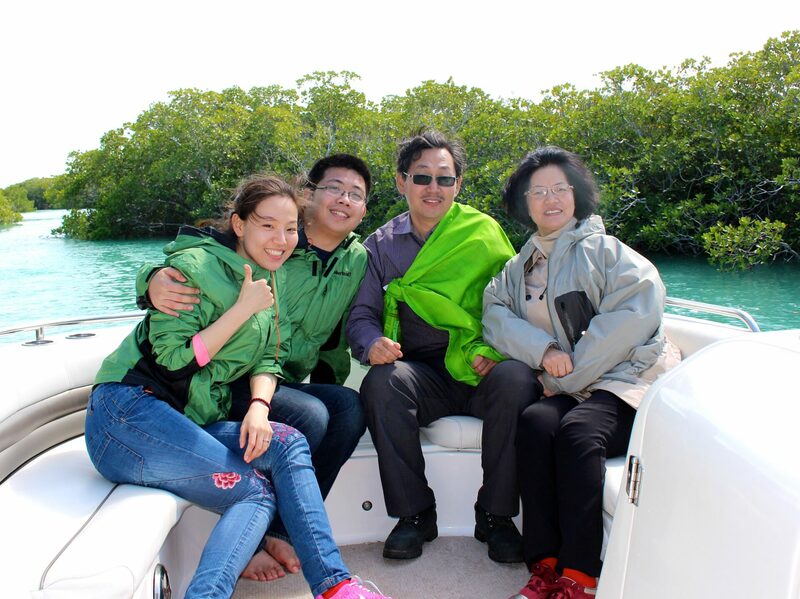 This they thoroughly enjoyed because they saw a ton of cool marine life all over the wreck. 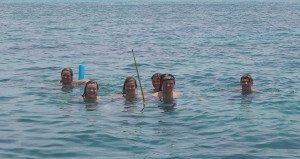 And again, the son had his chance at practicing his spearfishing abilities. 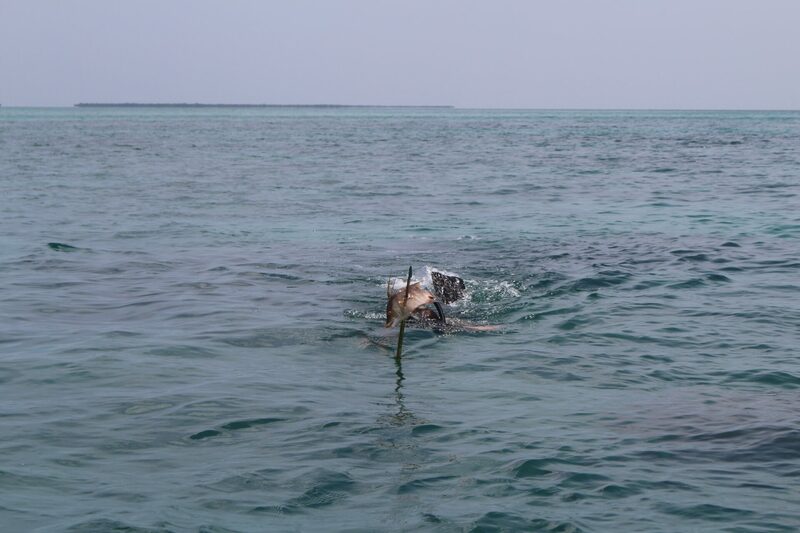 This time prooved a little more difficult, because the target were lion fish. Which are quite small, but are invasive and need to be eradicated! They also discovered the remains of bombs & torpedoes. 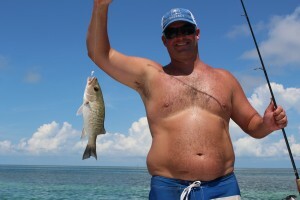 It is great when my clients take an advantage of the great snorkeling around Key West. They have only done the bigger boats loaded with too many people. This time they discovered that on a private charter all the time was strictly theirs and customized to what they wanted to do. 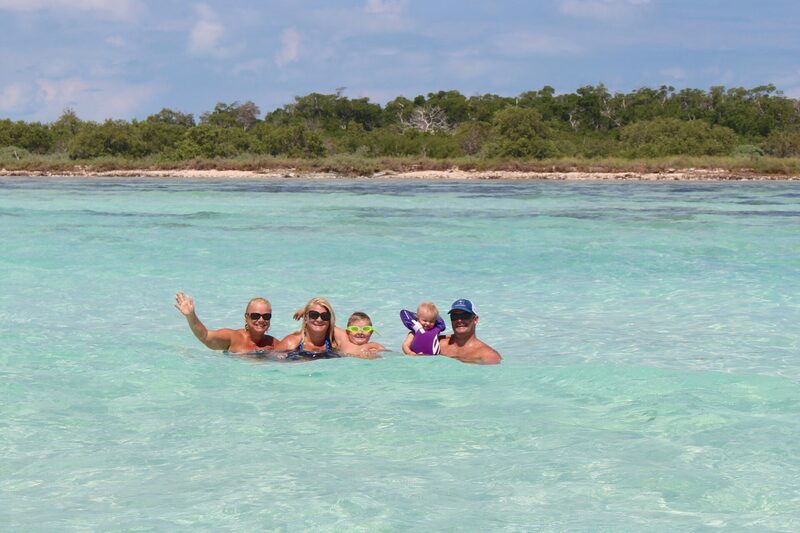 These very active adult children spent the majority of the time swimming, free diving, and snorkeling all over the backcountry and saw an array of amazing things. 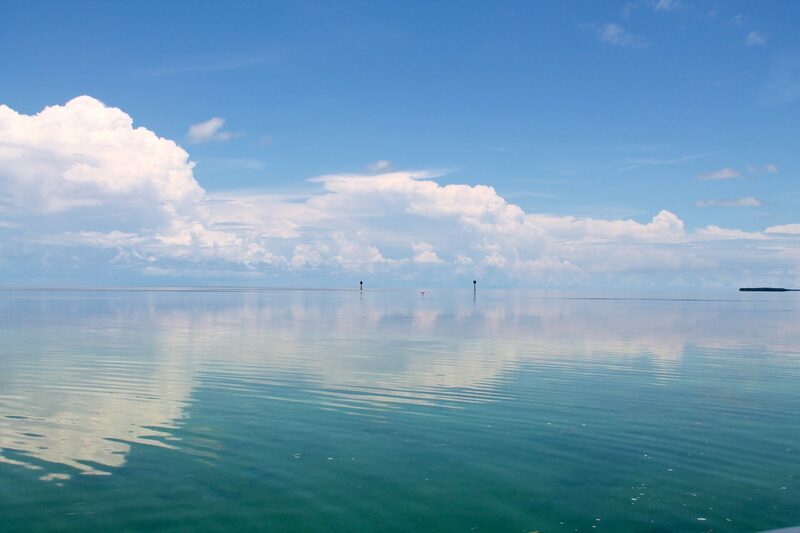 In 3 days we explored over 30 miles of the best features of the backcountry (the shallow, calm inner waters just off Key West). 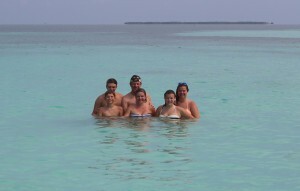 We snorkeled 2 patch reefs, shipwrecks, encountered dolphins, stingrays, sharks, and sea turtles. 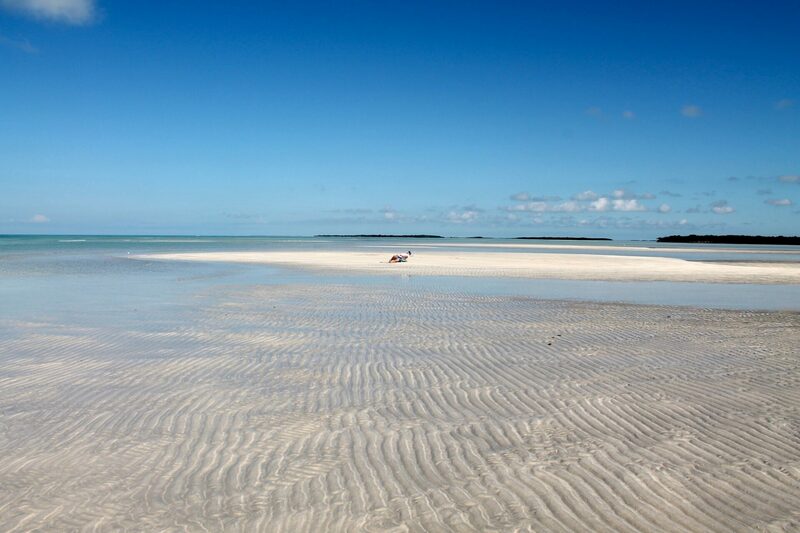 We also enjoyed several sand bars and 2 remote beaches. And most importantly, they were able to enjoy each other before they headed back to the busy real world. For this mom, each of her kids were attending a different school & this was an important time that the family was together. A Chilly, but Beautiful Day! 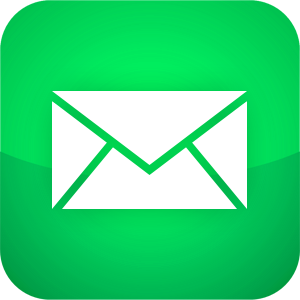 I had spoken to my customer, Tony the night before and I expressed concern about high winds and unusually low temperatures predicted for the day of our charter. 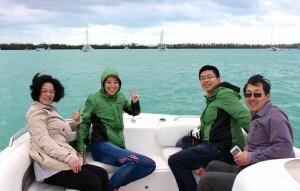 I definitely am not a captain that takes clients out regardless of the weather. 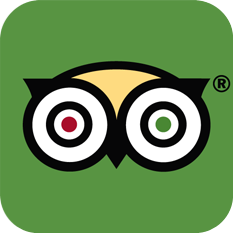 It is important to me that it be an enjoyable trip for everyone (me included). I guess you could call me a “fair-weather captain”. 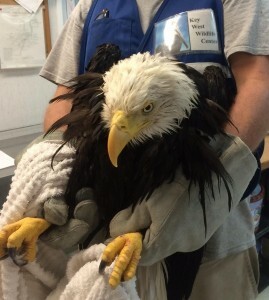 In the morning I called him and gave him the option to go out on the boat or not. The winds were a little less than predicted. He decided he & his family wanted to go. 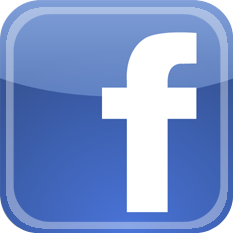 I am really glad now, knowing what a great trip it turned out to be! 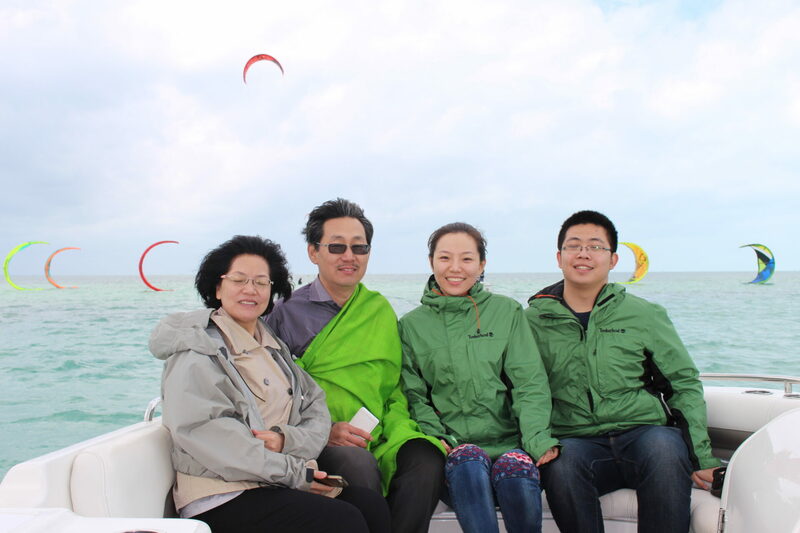 Tony & his wife & her parents visiting from China had never been to Florida before, much less cruising through the shallows, and mangrove islands of the Backcountry. They were amazed to say the least. The best part of where I go is even on a windy day I can usually find shelter behind the islands. 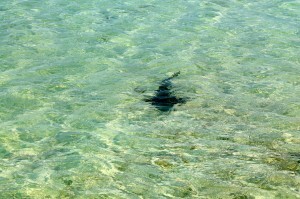 Also since I travel through such shallow water, it is not real choppy. 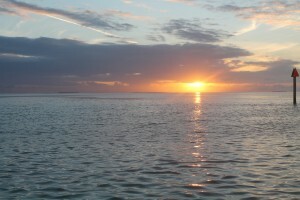 I recruited my husband Tony, a charter boat captain as well, to accompany me on this trip. 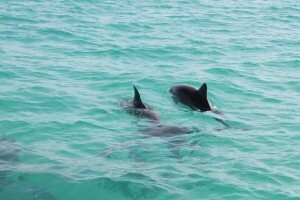 At the very start, lo and behold a large pod of dolphins playing in a area right off Key West. 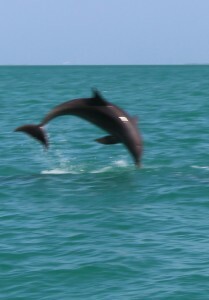 So much fun to watch them jumping around and investigating us on the boat. 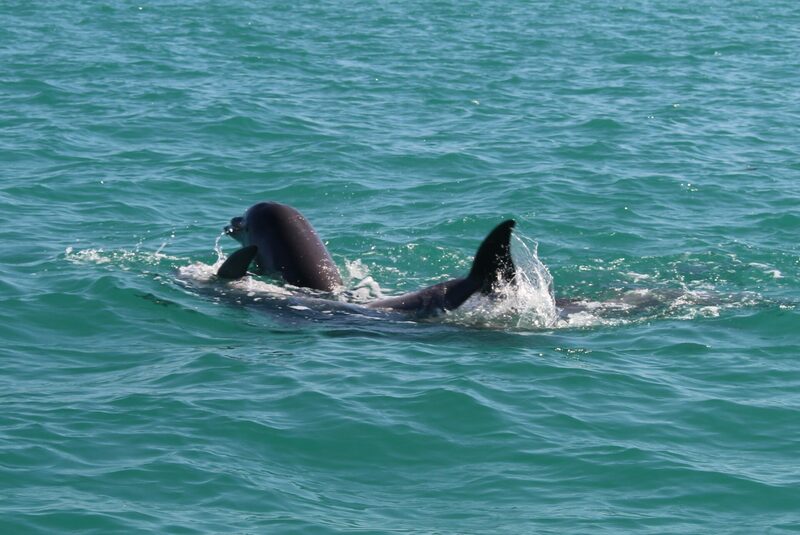 This was the first time my clients would see dolphins in the wild. This is one of my favorite things about what I do, introducing people to the extraordinary elements of Mother Nature at her best! 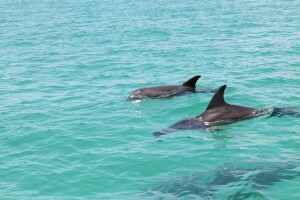 We had to pull ourselves away from the dolphins because there was so much more to see. 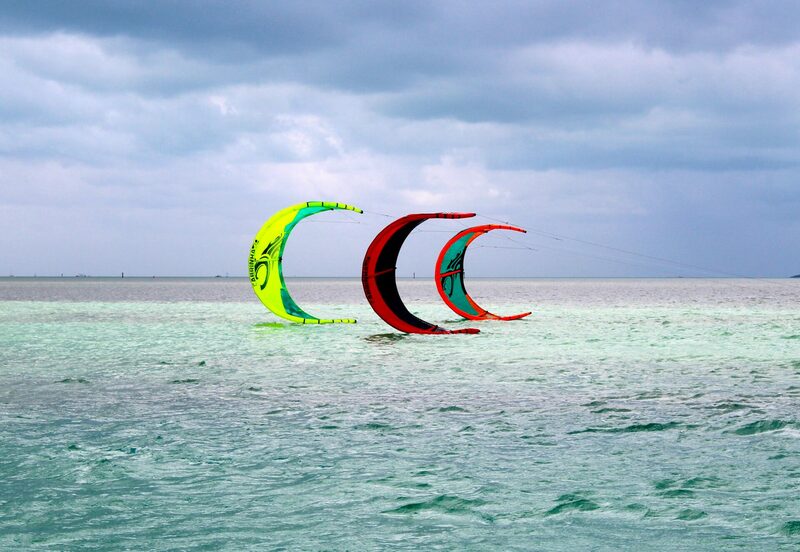 One good thing about a windy day is if you get to see the kite boarders surfing the flats. I always enjoy watching them perform maneuvers and jumps and catch some serious wind and fly across the water. I have a lot of respect for their sport, but no desire to learn it. I will stick with being a spectator. 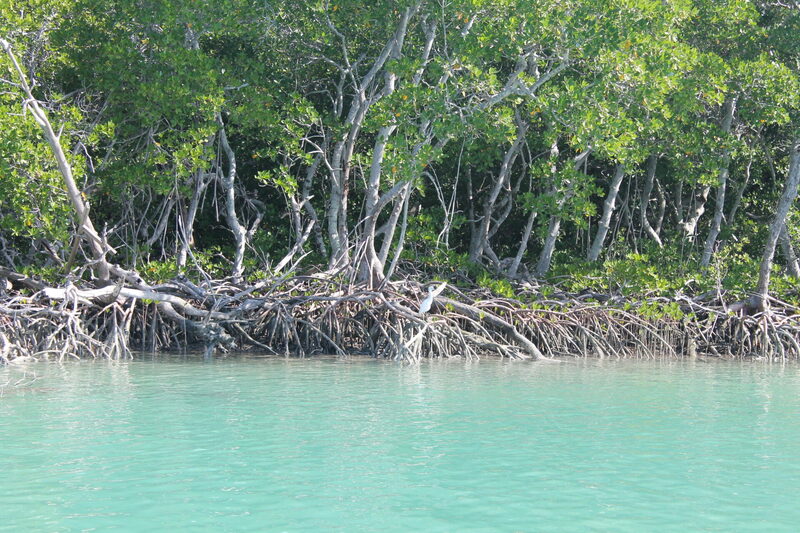 We came to our first island which is always full of a large variety of birds relaxing in the mangroves. We tried to do some fishing, but were not having much luck. After pointing out all the different bird species we left to the next island to hopefully have better luck fishing. 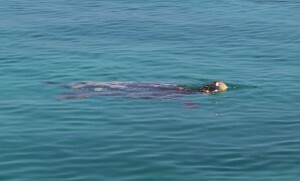 While we were fishing one of my favorite spots, we probable saw at least 6 Loggerhead Sea Turtles. Amazingly they were quite large and enjoying floating on the surface. I think they were trying to warm themselves in the sun. The water temperatures dipped to almost a record low that week. My clients were thrilled with seeing this, another first for them. 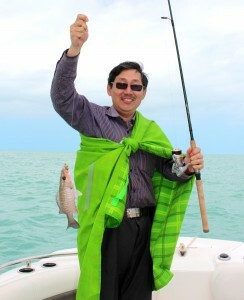 And miraculously we were able to catch some fish with the water being so cold. Especially since this was their first time fishing! We were having so much fun, but we were running out of time and I had one more place I wanted to show them. 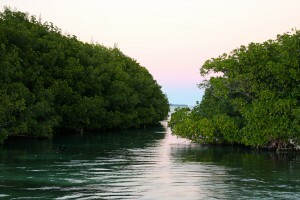 One of my favorite islands has a few narrow channels to cruise through and I can only get there on a high tide. 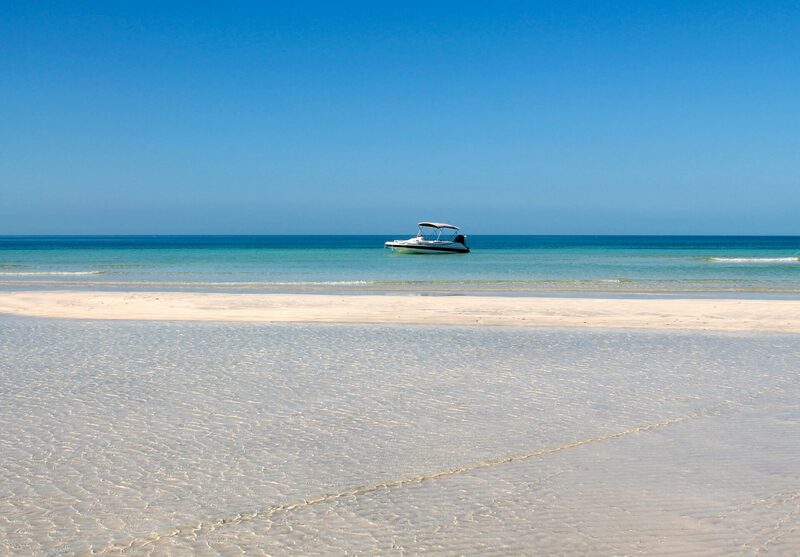 It is positively beautiful boating through this island. I knew they would appreciate it and they did! On the way home we went exploring for stingrays in the shallows right next to one of the mangrove islands, instead we saw dozens of Barracudas. That was very cool. The water was quite clear and you could see them very well. My husband and I really enjoyed our time with these guys. In spite of the cold, we laughed a lot and they discovered a whole new world. 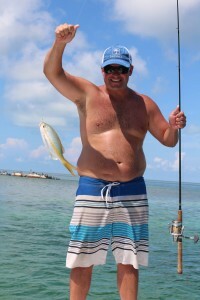 I had a lovely newlywed couple from Wisconsin charter me for a fun day on the water in Key West. The summer days in the Florida Keys are our favorite time for boating. 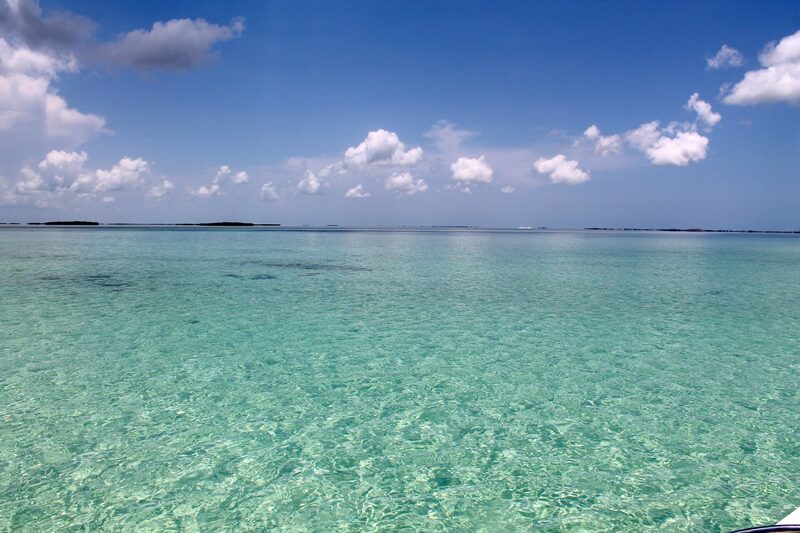 The water is calm, crystal clear, & quite warm. 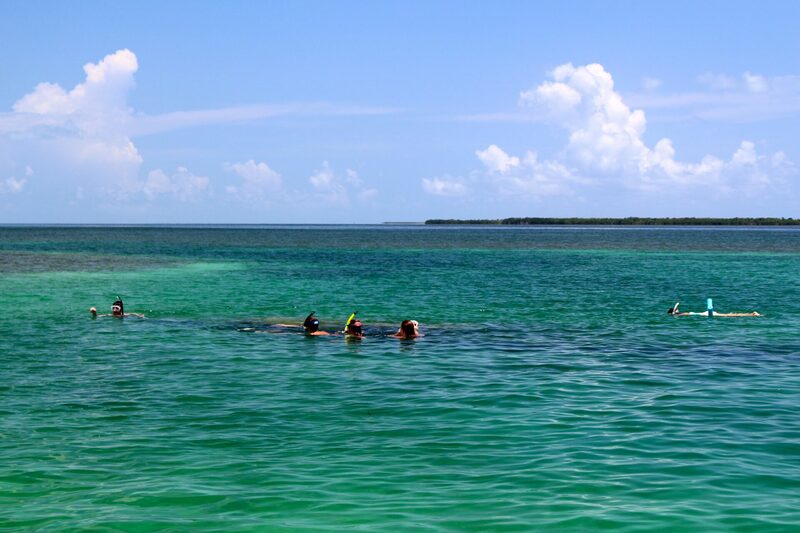 So we started out snorkeling a patch reef just a few miles West of Key West. 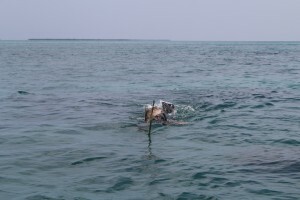 This reef in the summer is full of very large Southern Stingrays. 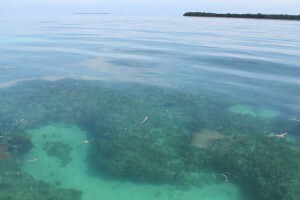 They also saw a Nurseshark, Barracudas, and loads of tropical reef fish. It is quite nice because the large boats usually don’t go there so there are very few people. 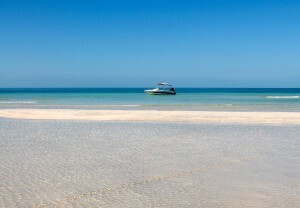 Also as a private charter you are free from the crowds. 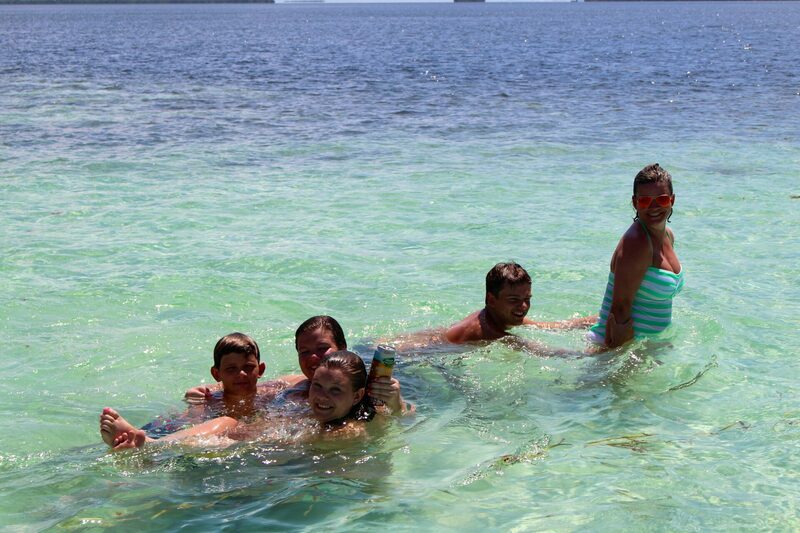 We definitely had to hit the beach after snorkeling. 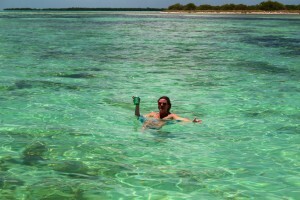 My honeymooners were able to enjoy a remote island all to themselves. How romantic is that? Not another boat in sight. 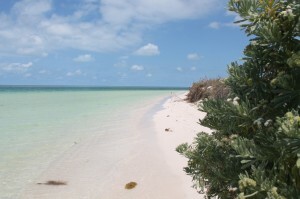 It is a beautiful island with a natural beach just 15 miles West of Key West in the Key West National Wildlife Refuge. 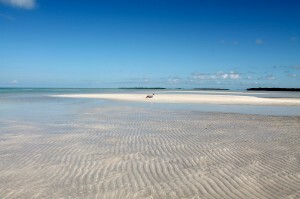 At certain tides the Boca Grande has hermit crabs cruising the beach. 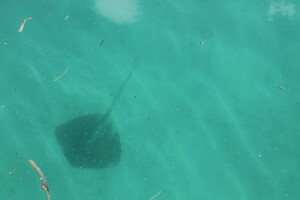 Also stingrays enjoy the white sand bottom. 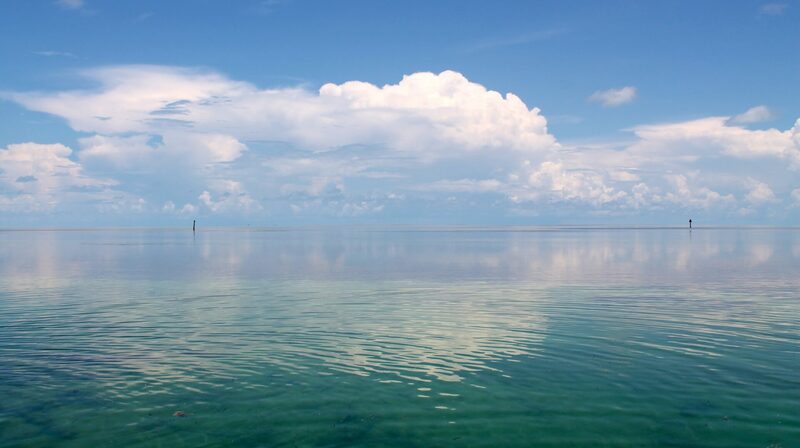 This is the true beauty of the Florida Keys. 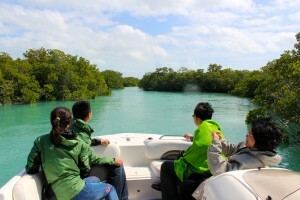 Calm blue waters surrounding lush green mangrove islands. 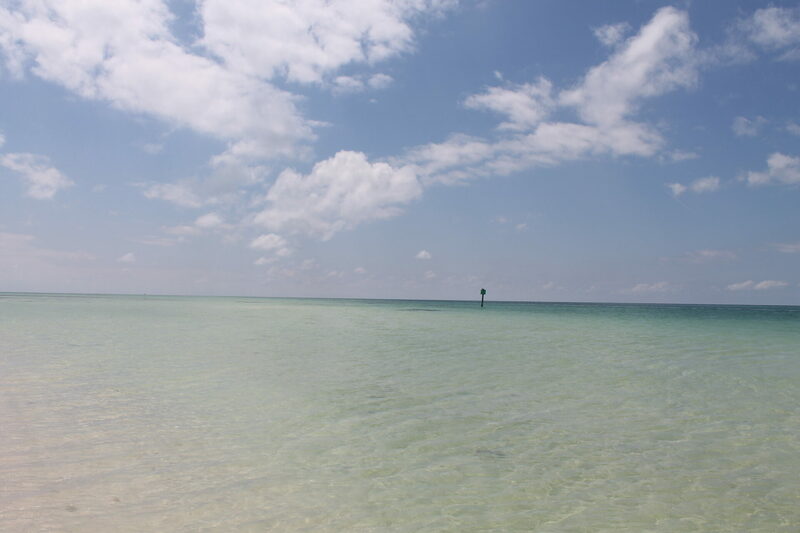 Nothing but the sound of birds and the rippling of the ocean. I can understand why my customers tell me my trip is the highlight of their Key West vacation. I never get tired of experiencing days like these. Just a minute from the island is a large shipwreck. 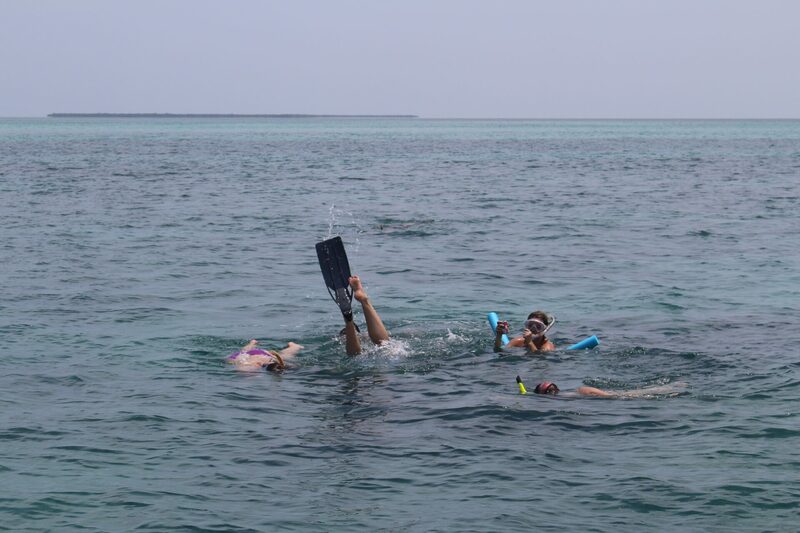 They snorkeled the shipwreck for sometime and discovered a large school of parrotfish, starfish, stingrays, and various colorful fish. 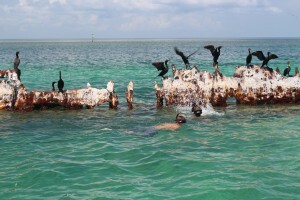 We have a lot of wrecks in the surrounding waters of Key West, but this one is usually full of the most marine life. We returned to the boat, relaxed and cruised back towards Key West with plans of stopping at a sand bar along the way. 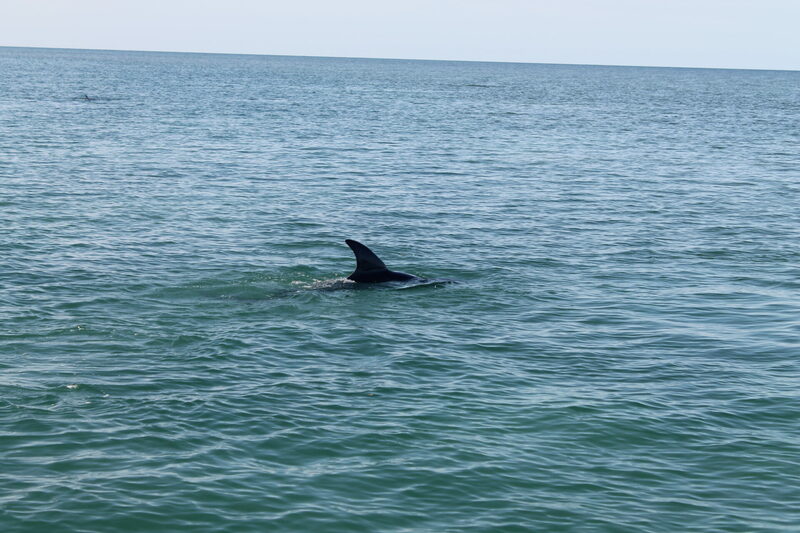 We came across some dolphins en route. Stopped and enjoyed their antics. 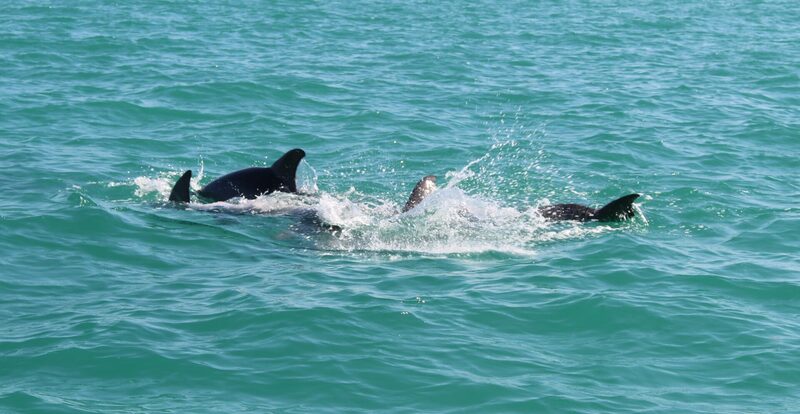 Nothing is quite as wonderful as dolphin watching! 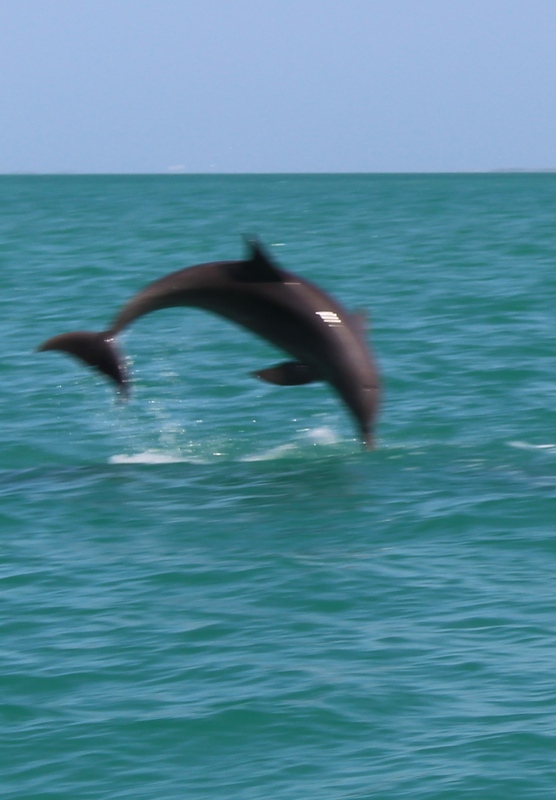 It amazes me how many people have never seen them in the wild, I am so lucky to expose them to such a wonder. We enjoyed a nice boat trip back to Key West along the Atlantic. Past the islands in the Lakes. 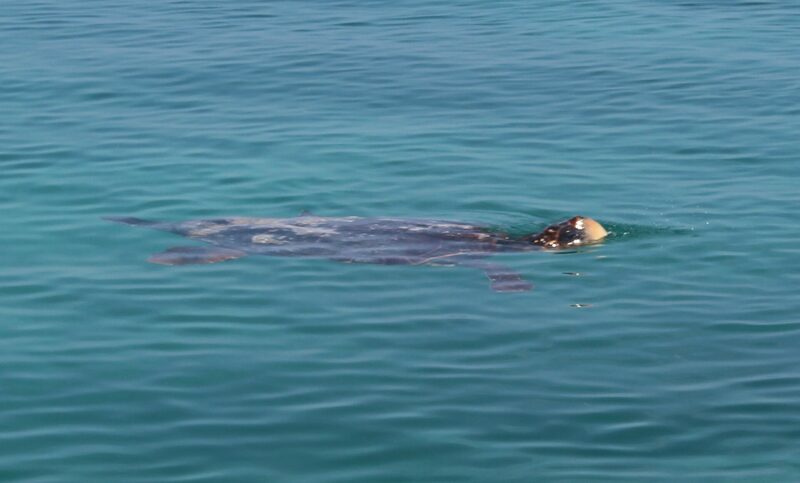 Caught a glimpse of a few sea turtles. All and all a successful day boating the Key West shallows. I had a superb day with a family from Texas visiting Key West for the first time. 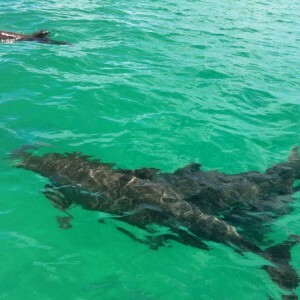 Luckily for me, they decided to book my private boat charter for 2 days. We were able to explore a lot of the Key West backcountry all the way from the Gulf of Mexico to the Atlantic Ocean. 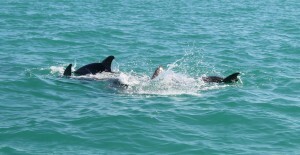 We started our wonderful day together dolphin watching. 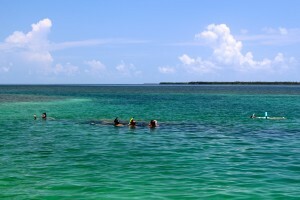 We proceeded West of Key West to a patch reef to do some snorkeling. 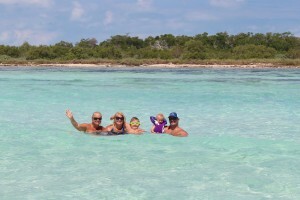 First we stopped at a sandbar to practice because it was their son’s first time snorkeling. Both parents were advanced scuba divers and were anxious to show him all the amazing marine life. 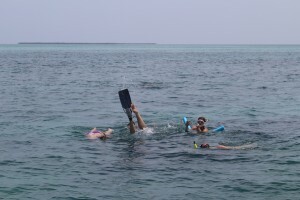 We had excellent visibility for snorkeling. They saw Stingrays, tons of tropical fish, Barracudas, Nurse Sharks, and various forms of coral. The son was an expert in no time! I decided with their enjoyment of snorkeling to take them to a wreck just off of Boca Grande. They saw a large school of Parrotfish, Tarpon, and a lot of large Southern Stingrays. 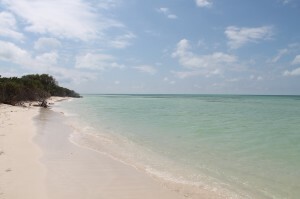 After that we relaxed on a remote island with a beautiful natural sandy beach. They had their picnic lunch there. 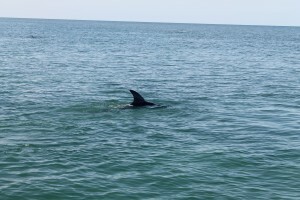 While relaxing on a shallow white sand bar we noticed a very large dark area in the water moving. It was a bait ball full of small brown fish! 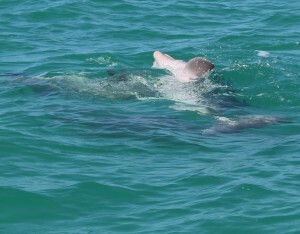 Several tarpon were feeding as well. None of us had ever seen anything like that. It was amazing to witness! 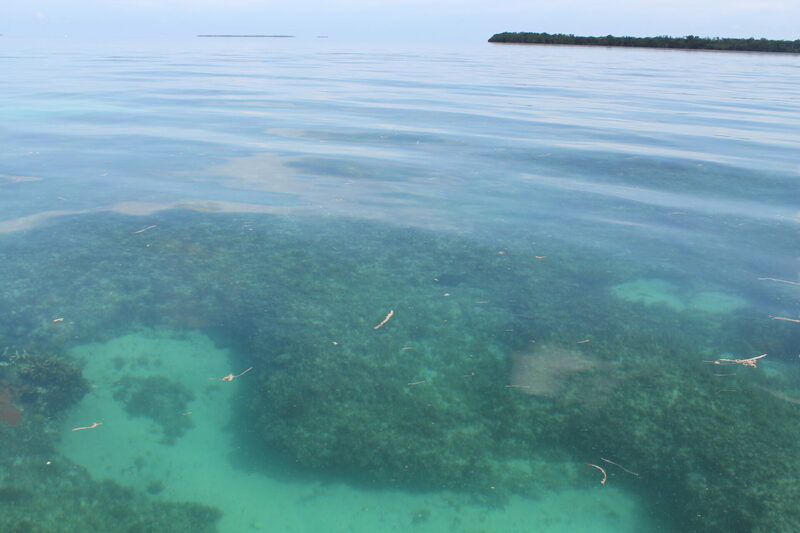 They grabbed their masks and snorkeled in the midst of thousands and thousands of little fish swimming all around them. 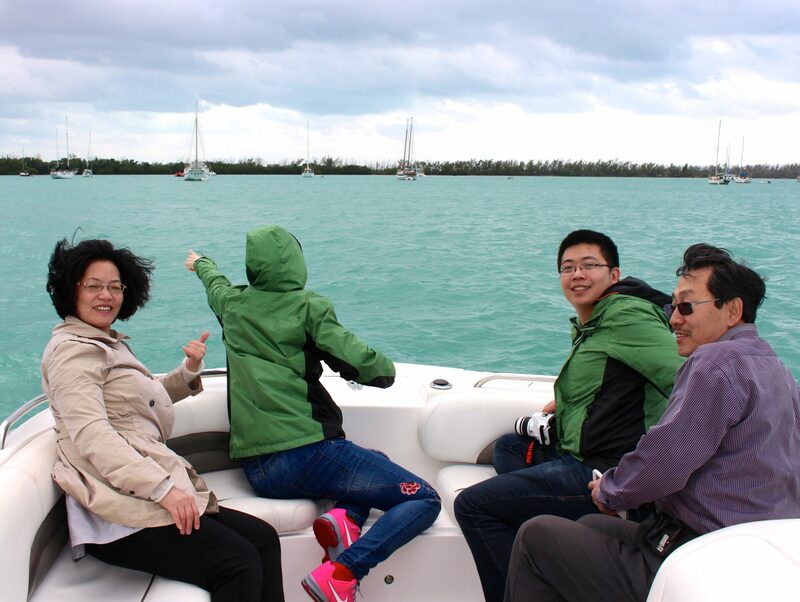 We left the island and cruised the Atlantic past Woman & Ballest Key. We did stop to enjoy the very soft sand. That is where they found dozens of gorgeous Queen Conchs, Sand Dollars, and Bonnethead Sharks. We were lucky to view a Bullshark swim by the boat. 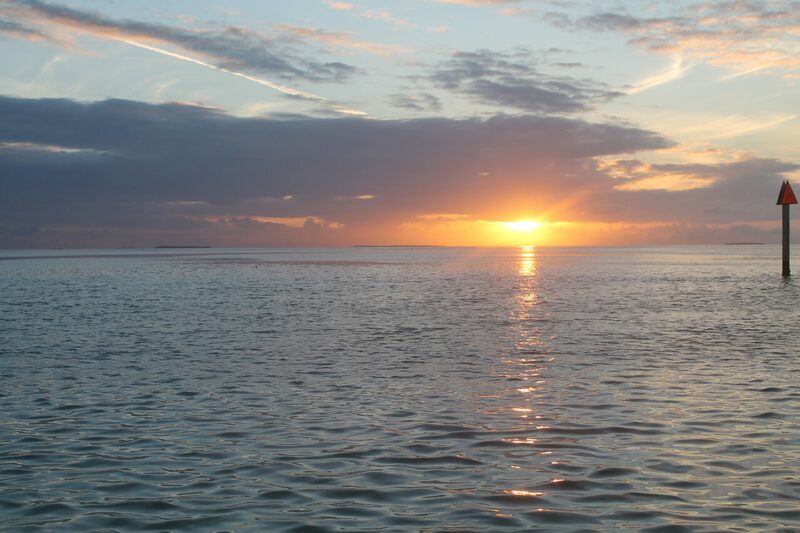 We headed back to Key West after a full day of adventure, and exploration of the Key West shallows, flats, remote beaches, mangrove islands, wrecks, reefs, sandbars & more. 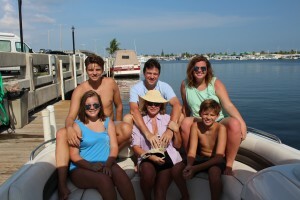 I am grateful to have been a part of their Key West vacation and hope to do it again. This family reserved a private boat charter with me to do some fishing, cruise some sand bars, and basically explore the backcountry of Key West. 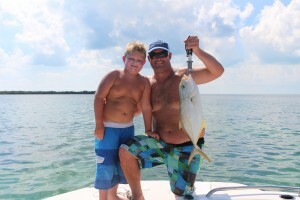 For this I traveled a few miles west to a small channel which generally is good for light tackle fishing. We didn’t score any large fish, but we definitely caught a wide variety of species. (Mangrove snappers, Spanish Mackerel, a Puffer fish, Lane Snappers, Grunts, and Blue Runners). The winds were calm which provided an ideal opportunity to travel the Atlantic instead of the Lakes to the various mangrove islands and sand bars. We stopped at a spot which was a very shallow white soft sand where they played some football while their mom combed the beach for shells. 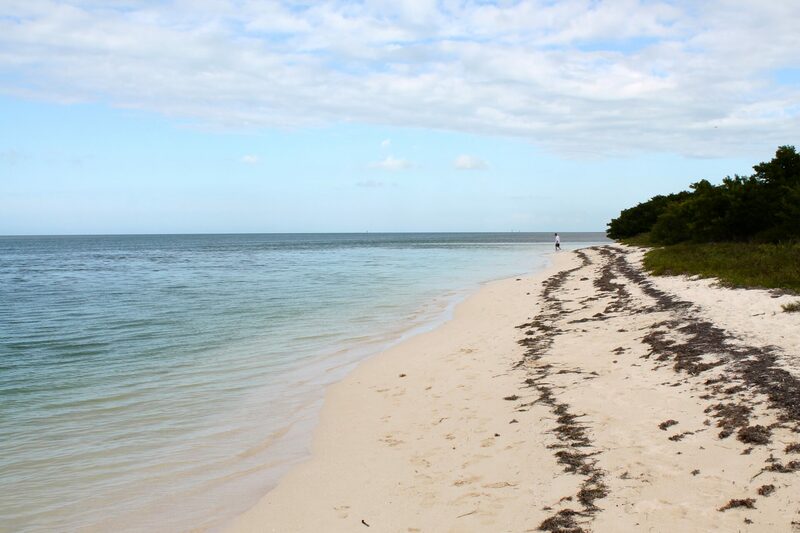 One half of this island is protected for sea turtles to lay their eggs. We saw Stingrays and lots of Barracudas. 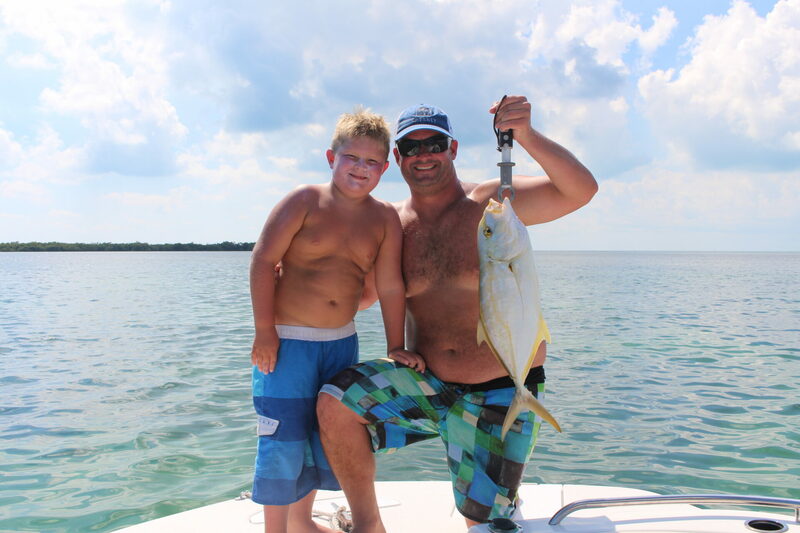 It is nice to be able to blend both a Key West fishing trip and Eco tour to satisfy all the members of the family. 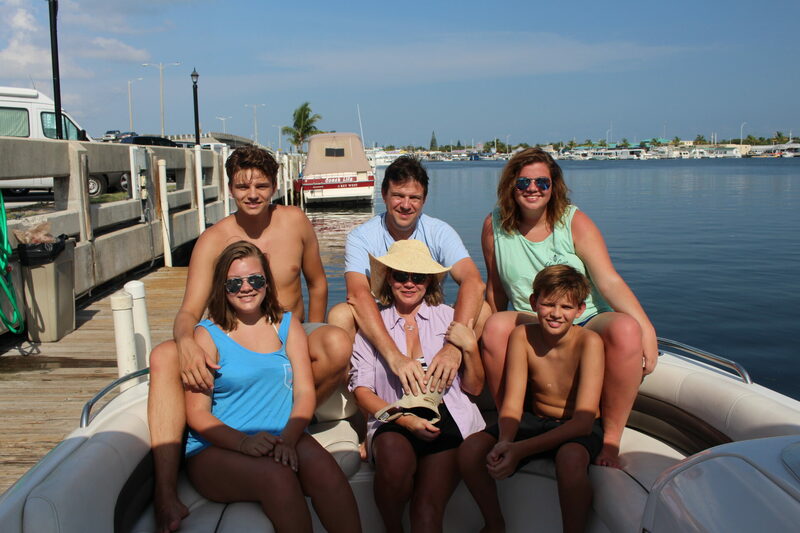 Key West has a lot to offer a family. 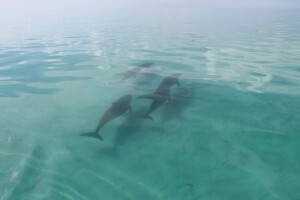 Plenty of water activities like snorkeling the coral reefs, light tackle fishing, kayaking, and discovering unique marine and birdlife are all available year round. Not to mention the warmest year round temperature in the U.S. Its fun to take people away from the hustle of Duval St. and escape to the Great White Heron Wildlife Refuge to only here the sounds of birds. 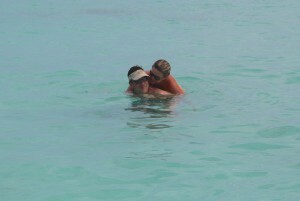 We started the day snorkeling a patch reef just a few miles off of Key West in the Gulf of Mexico. They saw barracudas, tropical fish, stingrays and lots of colorful coral. 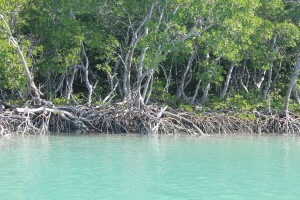 We then took a boat cruise along the mangrove islands to a larger remote island with a white sand beach. There they sat on the beach and enjoyed a picnic lunch. 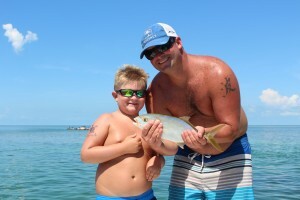 After some combing the beach for shells we loaded up the boat to a nearby wreck for some wreck fishing. After not much success at the wreck, we traveled to do some backcountry channel fishing. First line in and first time fishing the daughter landed a beautiful Barjack! We were so fortunate to experience such a beautiful day on the water watching dolphins, light tackle fishing, snorkeling, island hopping, and relaxing on a remote secluded beach all just a few miles from Key West.